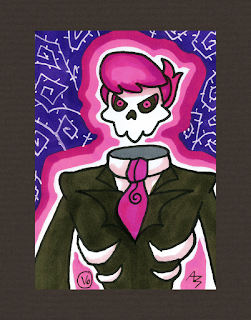 #5 - "Bob the Squirrel"
#16 - "Mystery Skulls: Lewis"
More ATCs. 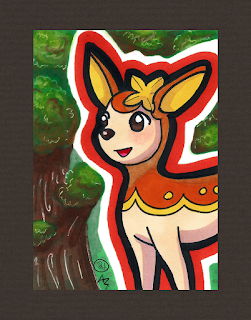 Two fanart, one original. 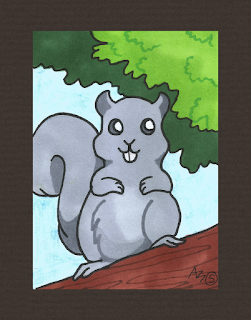 Bob is a squirrel I've been drawing for years. I started drawing him back in middle school. He has a female counterpart named Gina looks identical. Funny side story: I used to dish out faux-advice for my middle school friends in something we called Ask Dr. Squirrel. 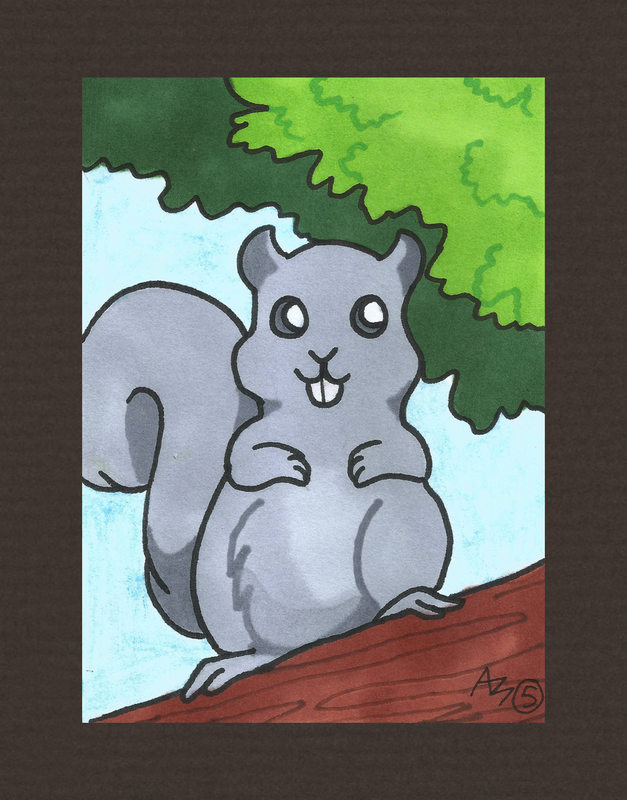 I'd give out awful advice in the guise of a cartoon squirrel in response to prompts put in an envelope.